I won't show you an actual picture. That would be too embarrassing. So, just imagine an awkward, skinny kid with a bad haircut and braces. I'm standing at the starting line on my junior high school track. There's another kid standing next to me. We're about to run a half mile race. All the kids from Mr. Mooney's and Mr. Farmer's PE classes are gathered by the starting line. They're cheering because it's a match race between the two classes. I'm representing Mr. Mooney's class. He didn't ask for volunteers; he just picked me. I'm not sure how Mr. Farmer picked his kid to run. The winner of the race gets a hand full of Moore Moolah. That's what they called the fake dollars you got at Moore Junior High School for good behavior. You could spend it on school merchandise or snacks in the student store. I'm pretty sure Mr. Mooney and Mr. Farmer put up their entire allotment for this race, because there's no way anyone would ever earn that much Moore Moolah otherwise. We were also running for our respective classes. That's a lot of pressure when you are in 7th grade. I was terrified. My biggest fear was letting everyone down. The starting pistol went off. After half a lap, it wasn't even close. It's no secret that I'm not a fan of gamification for customer service representatives. My research shows that it can be a distraction from the real work at hand - serving customers. But, if you want to really understand something, it's helpful to explore another perspective. That's why I turned to Mario and Luigi. The Mario Brothers were popular when I was in 7th grade. I enjoyed playing Super Mario Brothers on Nintendo with my friends. So, who better to ask about gamification? Neal Topf is Mario. He's the President of Calzilla, a nearshore inbound call center. Nate Brown is Luigi. He's the Director of Customer Experience for UL EHS Sustainability, a division of Underwriter Laboratories. They've both written several articles (like this one and this one) and presented at conferences on the topic of gamification. I consider them experts. Question #1: Why do you use gamification in your contact center? Neal: We have had some initial success in inspiring learning and better motivating Gamification to improve performance, quality, C Sat and other KPIs. The ability to contain all the data and manage it in the required context, in one place, that is visible, shareable, and social, is a massive plus for us. Nate: Gamification to me is all about motivating people to accomplish high-value actions. The contact center can at times be a soul-sucking place to work. This is one of many levers that can be effectively employed in your overall employee engagement strategy and give your workforce an exciting story to tell. Question #2: What are some of the ways you use gamification? Nate: It all started with a prize wheel, and from there we’ve done some great stuff such as mini disc golf tournaments, a murder mystery dinner, office-wide Easter egg hunts, and much more. The theme though is uniting the team and creating a context of strong relationships. One we are attempting to kick off called “Lego Feedback”. As you meet your QA objectives you earn different funky lego pieces. As you accumulate them you get to build your own crazy Lego tower. It is a creative expression of your own success. Agents often like to display their tenure with the organization, so a larger Lego tower implies longevity. Neal: We use it to incentivize learning and performance. We’ve used our Gamification platform (PlayVox) to systematize and automate the compilation of all this data into one place, so that it is visible to all, is social (can be seen and commented on by all), and bridges various platforms and softwares that we have. For example, we have a skin care client. The KPIs for that skin care client are: Retention Rate, QA score, and Average Order Value. We maintain a digital leaderboard for each metric. The leaderboard is visible to everyone in that program. Prizes, monetary and non-monetary, are given based on individual and group performance. We have agents grouped in teams, so there’s some competition among teams. Question #3: What are some the challenges to gamification? Neal: Its so tempting to want to Gamify EVERYTHING. We tried it. Dumb idea, especially at the beginning. Gamification has to be kept simple so that everyone can understand it, so it can be measurable, and so that the enterprise can set itself up to be successful and show true improvement. If not managed correctly, can be a distraction and take away attention from the core tasks at hand which are to serve customers. Participants can be focused on the Game itself and learning how to win the game rather than helping and serving customer. Nate: It requires a huge amount of intentionally on behalf of the Gamification leadership. If you are on the fence about this I would urge you to wait. It requires a team of creative individuals committed to making the program special for it to work long-term. Both Nate and Neal mentioned two specific challenges. First, not everyone feels comfortable with various elements of gamification. Some people don't enjoy games. Others don't like the idea of having their performance displayed publicly. This definitely has to be a consideration if you implement something in your contact center. Second, both said it's important to keep things fresh. Agents get tired of doing the same thing over and over again. I was surprised to learn I actually agree with a lot of what Neal and Nate are saying. At Calzilla, Neal's using gamification to make performance data readily available. I'm all for that. Metrics, if used wisely, can help everyone know the score and improve agent motivation. A challenge he noted, that gamification can become a distraction, is my chief concern. I also think contact centers can get the same results (or better) without the incentives and prizes. There's plenty of evidence that suggests customer service reps are primarily motivated by helping customers. Nate and I actually had an interesting discussion about the definition of gamification. I told him I thought he wasn't actually using gamification at all, but rather a rewards and recognition program that used games to build morale outside the context of his agents' daily work. To me, gamification is the use of game mechanics in non-game situations to motivate people to complete certain objectives. Nate disagreed. His feeling is that gamification is the use of game mechanics to solve a problem, and the problem he was solving was an employee morale issue. He didn't think games needed to be embedded in the agents' actual work for it to count as gamification. Once I understood how Nate and I defined gamification differently, I think we're more in agreement on how gamification might play at role at work. To bring it full circle, let's go back to my 7th grade PE half mile match race. I won. It was an amazing feeling for a shy, awkward kid to feel appreciated for doing something important for the team. To me, this is what gamification should be all about. I never even spent the Moore Moolah. Employee motivation has been a hot topic in customer service for as long as anyone can remember. In the old days, the threat of punishment was used to motivate customer service employees. The message was clear — do a good job or be fired. That approach didn’t work because employees would do just enough to avoid getting fired. In more recent history, rewards and incentives became an import facet of management philosophy. The idea was you could get employees to do something they’d normally find distasteful by incentivizing them with cash and prizes. That approach didn’t work because employees would do just enough to win a prize. The current management thinking revolves around gamification. Think of it as rewards on steroids. A perfect attendance prize gets a lot more exciting if you can win points, badges, and work your way up the team leader board. Unfortunately, there’s plenty of evidence to suggest that gamification doesn’t play well with customer service employees. The carrot and stick approach doesn’t motivate knowledge workers to do a better job. In fact, it’s counterproductive and often results in poorer performance. People want to belong to something and know their work has meaning. In customer service, this means creating a customer service vision. This is a clear definition of outstanding customer service that is shared by all employees. It serves as a compass to point everyone in the same direction. How do I personally contribute to the customer service vision? If you want to know why customer service at In-N-Out Burger is so much better than McDonald’s, look no further than purpose. Both started with the same core values, but only In-N-Out has made them a real part of their culture. People love developing their skills. It feels good to be good at something. Many customer service teams are anti-mastery. Companies keep salaries low by hiring low skilled employees. They skimp on training. Leaders find themselves with very little time to give coaching and feedback unless something goes wrong. Amazing things can happen when you give employees the opportunity to grow and be their best. Not in a superficial, here’s your “Knowledge Badge” and ten experience points sort of way. True mastery is that process where people become increasingly better at their jobs. Earlier this year, I wrote about Jesse, a new employee at a bagel shop. She was awkward and lacked confidence because she hadn’t been properly trained. Jesse underwent a complete transformation over the course of a few weeks. She stuck with it and figured out how to do her job. She asked questions and learned from her experiences. Now, Jesse engaged customers with confidence and personality because she had mastered her basic responsibilities. Ask customer service employees what they dislike most about their jobs and many will tell you it’s a lack of autonomy. They don’t like scripts, because it feels like they aren’t trusted to say the right thing. They don’t like rules, because it seems like they aren’t trusted to do the right thing. They don’t like data, because it appears to be a tool for micromanagement. 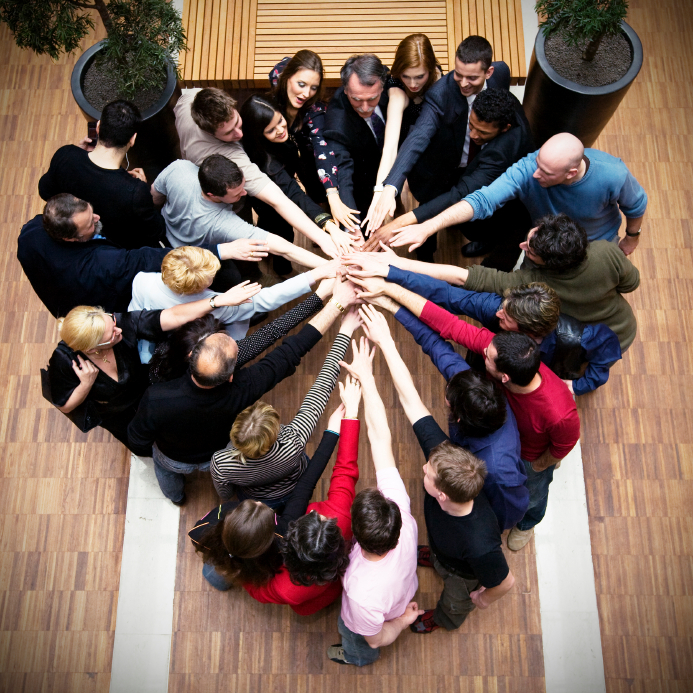 Engaged employees are given the autonomy to do what’s right. They have a clear purpose they believe in and are trusted to work towards that purpose. They are given opportunities to learn and grow so they can master their ability to contribute to the purpose. Creating a clear purpose, helping employees develop mastery, and giving employees autonomy can be time-consuming. Many managers fall back on the carrot and stick approach because it seems easier. In the long run, any time savings is lost in lower productivity, lower morale, and higher turnover. 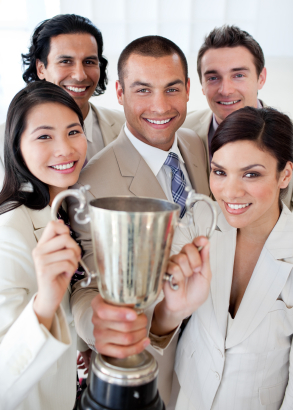 Gamification can focus employees on awards, not service. Gamification is big. It’s finding its way into everything from innovation, to customer experience, to software testing. A 2011 research report from Gartner predicted that 70 percent of organizations will have tried their hand at gamification by 2014. Gamification is the use of game thinking and game mechanics to engage users in solving problems. The possibilities seem endless. Who doesn't love a good game? In the future, we’re likely to see gamification reach even farther into our lives, as suggested by a popular short film about a guy whose life is completely gamified. It ignores fundamental problems. Will awarding points and badges for attendance really make a bad workplace any less soul crushing? Gamification is often really pointsification, meaning the object becomes the accumulation of points and awards rather than immersive fun. It’s sometimes quite easy to spot employees operating in gamified environments. I recently placed a lunch order at a fast casual restaurant and was hit with, “Would you like to add a cookie to your meal so I can win a contest?” It was an annoying pitch. Helping this guy win the Cookie Monster badge had nothing to do with me. Let’s look at how the characteristics of bad goals might apply to this point system. Diverts attention. Notice that ending the call quickly can earn twice as many points as solving the problem on the first call. Rewards selfishness. Earning individual points takes precedence over helping co-workers succeed. Extrinsic motivation. Getting the most points and whatever that entails can quickly replace the intrinsic motivation to provide great service. In this scenario, your lowest scoring agents could conceivably provide the best customer service. But wait, gamification principles do have real value! Gartner researchers have identified four ways that gamification engages employees. Take away the scoreboards, badges, and goofy contests and you’re left with four aspects of really good management. 1. Accelerated feedback cycles. Games work because you know exactly where you stand. Why shouldn't the same principle apply in customer service? Giving employees regular and consistent feedback on their performance will help them continuously improve. The rules of play, in the form of policies and procedures, should always be absolutely clear. They should also be sufficiently flexible to allow employees to adapt to each situation. As I wrote in a recent post, unclear goals, roles, and policies can challenge our sense of belonging and commitment. 3. A compelling narrative. The best customer service companies do this by focusing on customers as individuals. They get to know customers by name and share customer stories. They set out each and every day to create legendary customer service stories. If you want a terrific example, check out the Communicate Better Blog run by Phone.com’s award-winning customer service team. 4. Tasks that are challenging but achievable. This last one fits customer service perfectly. It’s not always easy making every customer happy, but the very best employees are always trying their very best to make it happen. Perhaps gamifying customer service is like most trends. There’s real value in the concept, which is why it’s trending. But there’s also the danger of taking it too far.